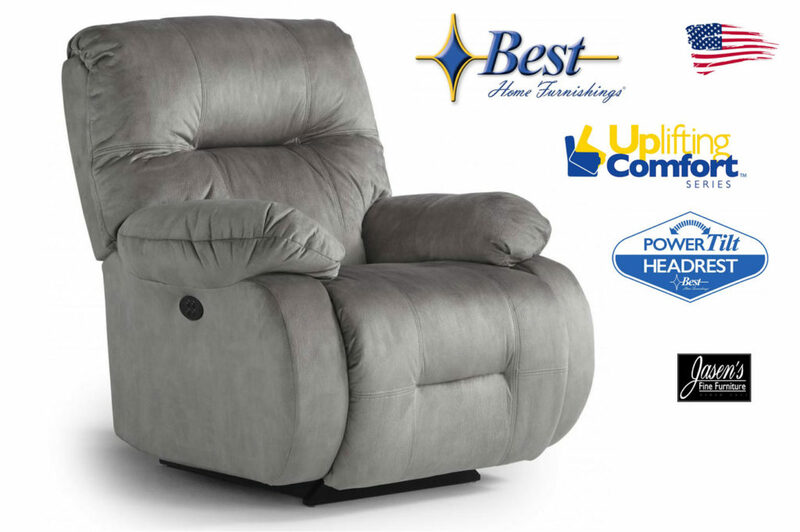 Best Brinley2 features tilt headrest with lift yet is perfect for everyday comfort. The chair features a plush back and tilt headrest while lift mechanism create a practical function. Best offers the chair in a wide variety of mechanisms while also offering hundreds of fabrics. Enjoy the contemporary refinement of Brinley2 transitional styling in addition to the benefits of brand-new upholstery. Best offers nearly limitless options for fabrics that are durable yet stylish. Pieces available for the lift chair also include armcaps and head rest. Most noteworthy is Bests’ warranty that includes Lifetime on the frame, and mechanism!